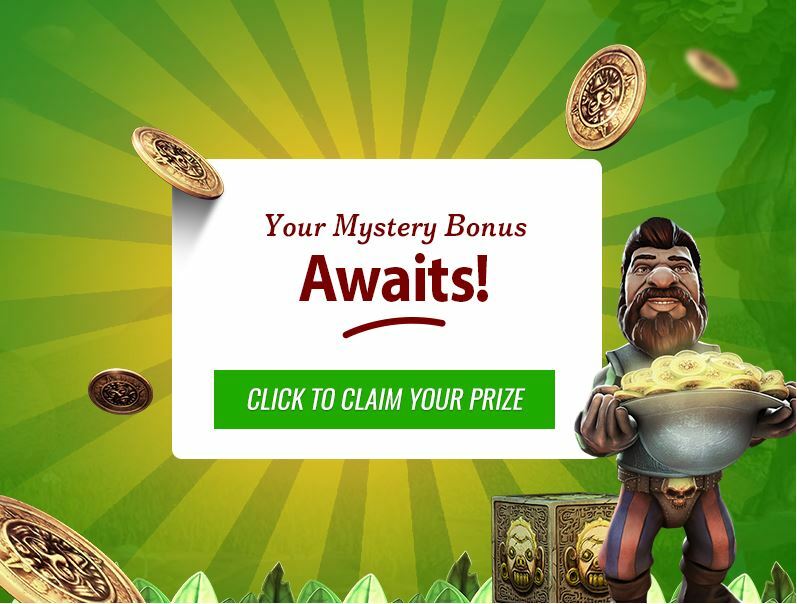 Mega Moolah Slot - Free Play and Bonus Codes - Apr 2019 , one of the leading software providers of casino games. You can play this slot here at Slots Temple in any format you prefer, whether that is desktop, mobile or tablet. This means it’s easy to enjoy the action wherever you are at the click of a button. Mega Moolah is fully responsive and optimised for mobile play and slots from this developer are generally known for their stunning graphics and smooth gameplay. This slot is also colourful and fun in style, with a cartoon appearance, and it’s a light-hearted slot which should appeal to all players. Mega Moolah is one of the most famous slots games in the world, with a progressive jackpot. If you like the idea of winning a huge sum from one lucky spin, then this could be perfect for you. This game has an interesting theme based on wild animals. This slot is from Microgaming, one of the leading software providers of casino games. You can play this slot here at Slots Temple in any format you prefer, whether that is desktop, mobile or tablet. This means it’s easy to enjoy the action wherever you are at the click of a button. Mega Moolah is fully responsive and optimised for mobile play and slots from this developer are generally known for their stunning graphics and smooth gameplay. This slot is also colourful and fun in style, with a cartoon appearance, and it’s a light-hearted slot which should appeal to all players. Read our full review below. Mega Moolah is a fantastic online slot that has an attractive style and also a simple appearance. All the symbols here are based on wild animals from the African savannah, such as lions, giraffes and elephants. These are depicted in bright colours and have a cartoon look to them to give the game a cheerful feel. You will find leaves and plants in the background of the icons alongside the animals to draw you into the natural world even further. Alongside the animal character symbols are some high card letter symbols, such as the Ace, King and Queen from poker games. These symbols act as the lower paying icons, so you want to aim for the animal symbols when you spin the reels, as this is where the best payouts lie. On top of the great graphics, there is also a fun soundtrack featuring animal noises and fun sound effects. You’ll be captivated by the eye-catching graphics of this slots game when you spin the reels. While the general look of the game is quite simple in appearance and the layout is classic in style, the bright symbols really pull you into the gameplay and make for an incredibly engaging gaming experience. The Mega Moolah slots game is easy to play and the layout is quite simple. You will find 5 reels and 25 paylines in total. There are 3 rows of symbols spread across the 5 reels to give a traditional layout and a straightforward appearance. It is easy to pick your bet and you can choose a coin value ranging from 0.01 to 0.05 by clicking the plus and minus buttons to move your coin value up and down. You can also pick the number of coins wagered per spin, along with the number of paylines you want to play, giving you a minimum of 1 and a maximum of 5 coins per spin. To place your bet easily, you can also choose to press the ‘max bet’ button, which lets you place the maximum betting amount quickly and conveniently. 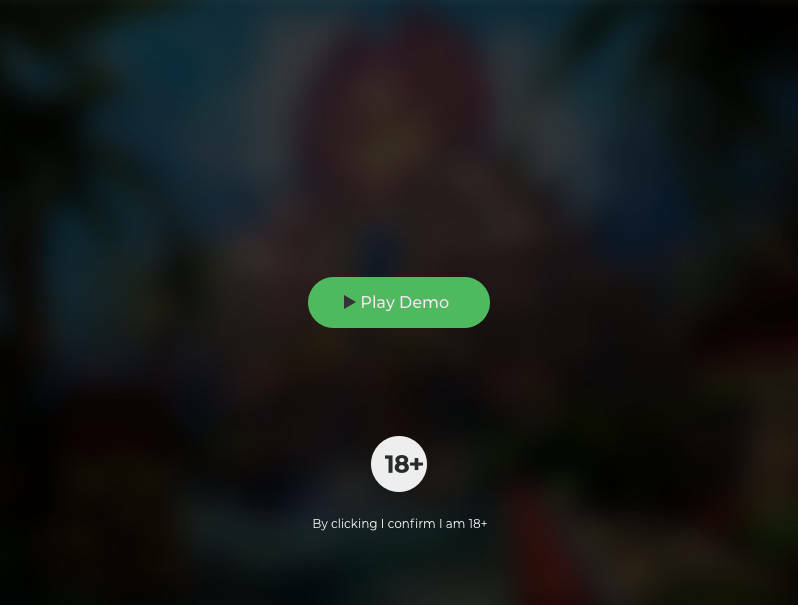 You can also use the special autoplay feature to spin the reels automatically without having to press the spin button each time. This autoplay feature is hidden inside the Expert controls, so you need to select this option first before hitting the autoplay. What Is the RTP of Mega Moolah? The Mega Moolah slots game has an RTP of 95%, which is an average percentage for an online slots game. The RTP refers to the amount of cash paid out in winnings on average for every £100 wagered on the game. Mega Moolah is classed as a low volatility slot, which means you can expect to win on many spins, but the winnings will be quite low in general. This is great news for lower rollers or those cautious about losses, as it is rare you will ever lose many spins in a row while playing Mega Moolah. This contrasts with high volatility games, where the payouts might be higher but so is the risk. Mega Moolah is quite rare in the slots world, as most progressive jackpot slots have a high volatility. The fact that the volatility rating of this game is low means this is a top choice of slots game for those new to progressive jackpot slots. It is also perfect for those with lower bankrolls and players who are anxious not to lose much cash during their gaming session. To enjoy a payout while playing Mega Moolah slot, you need to spin a winning combination of symbols on the reels. Which combinations of symbols pay the most in winnings depends on the paytable. To hit a win, you have to match 3 symbols on one active payline. You can see the possible payouts by opening the paytable, which is accessed via a button on the bottom of the screen. The paytable shows the lion as the best regular symbol, as this animal pays 15,000 coins for hitting 5 matches on a payline. There is a big drop to the second highest paying animal, with the elephant paying up to 750 coins. As this is a low volatility game, you can expect to win on many spins, so even small amounts can really add up to some tasty wins. This allows you to steadily grow your bankroll during your gaming session and allows you to play for extended periods of time. Mega Moolah is filled with fun bonus features which can make a big difference to your overall success with the slot and your overall winnings. The first feature is the wild symbol, which is the roaring lion. This lion can substitute for all the other symbols in the slots game to create more winning combinations of symbols. The lion is therefore a very special symbol in this game, which is why it pays the most at 15,000 coins for 5 matches. In addition to paying out a healthy sum, the lion also doubles your winnings whenever it forms part of a winning combination of symbols. The only symbol it doesn’t stand in for is the scatter icon. The scatter symbol here is the tribal character and when you manage to spin 5 of these icons anywhere on the screen, you can enjoy a payout of 100x your total bet, giving huge winning potential. Not only this, the scatter also has the power to launch the free spins round if you find 3 or more scatters on the screen at the same time. When you hit 3, 4 or 5 scatters together, you will trigger 15 free spins and during this round all your winnings are tripled! The best thing of all is that this round can be re-triggered again from within the same round for massive winning potential. Mega Moolah is most well-known for its stunning progressive jackpot, or to be precise, its four progressive jackpots! The chance to win one of these huge jackpots can come at random at any moment during your gameplay. This is what makes playing Mega Moolah and other progressive games like Mega Fortune so exciting, as anyone could win a massive sum at any time. When the random round is triggered, you will be presented with a wheel of fortune. You simply need to spin this wheel to reveal your prize. The only way you can increase your chances of triggering this bonus round is by betting higher amounts - the more you bet, the more likely you are to trigger this opportunity. When you spin the wheel of fortune, you could land on one of four spaces on the wheel that relate to one of the four big progressive jackpots. The mini progressive jackpot starts at prizes of 10.00, the minor progressive jackpot starts at 100.00, the major progressive jackpot starts at 10,000 and the mega progressive jackpot starts at a huge 1,000,000. You need to spin the wheel to reveal your jackpot prize! Other smaller prizes in Mega Moolah are also impressive, with the top reward outside the progressive jackpot being a cool 225,000 coins. The best thing about all the prizes in this slots game is that the biggest progressive prize never drops below 1 million, so you are guaranteed an enormous sum if you do manage to spin the Mega jackpot on the fortune wheel. Another great thing about the Mega Moolah online slot is that it is available to play at virtually all casinos offering this software. As this software provider is so popular in the online casino world, this means you will almost certainly be able to find this game with a quick search. Mega Moolah is really popular thanks to its fun theme, classic gaming style and its huge progressive jackpot, which is always just a potential spin away. Sometimes, you might be able to enjoy free spins on Mega Moolah as part of a welcome package when you sign up to a new online casino site. This could mean free spins when you register a new account before even depositing any money, or it could mean free spins only after your first deposit. Whichever type of free spins bonus you can claim, this is always a great way to try the game for free before spending any money. You’ll usually be able to keep your winnings from any free spins at an online casino, but you won’t be able to cash them out until you have completed the wagering requirements. This means you will need to wager the money a certain number of times before you can withdraw it. Often a wagering requirement will be around 40x the amount, but it could be lower or higher, so always check the terms and conditions at the site where you are playing to see how you can get hold of your money. Many online casinos are giving players the chance to claim no deposit bonuses. These types of bonuses are those freebies that are credited to your account automatically, before you have even deposited any money at the site. These are great opportunities to try casino games for free with the casino’s money. This gives you the perfect chance to play Mega Moolah or another cool slot for free. Mega Moolah is often offered as a no deposit slot, giving you free spins on sign up. You might also get the chance to play other games or other slots from this developer’s catalogue, as well as games from other developers. 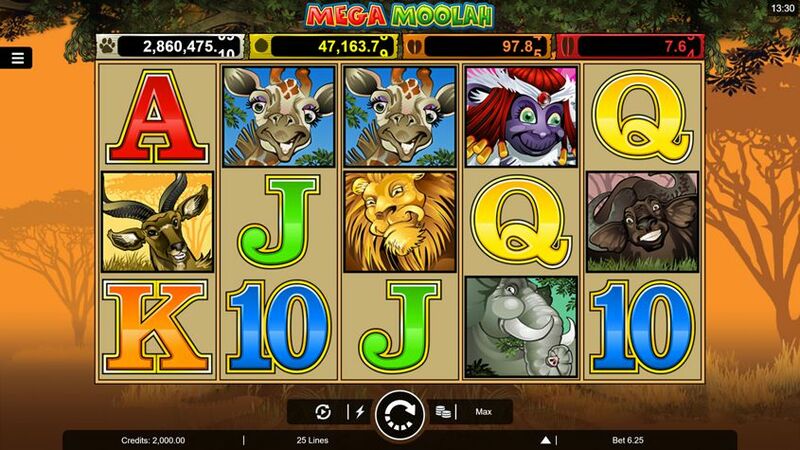 Mega Moolah can be played on your desktop or on mobile devices. This means you can login to your favourite casino wherever you are from your Android or iOS smartphone or tablet. Mega Moolah is a great choice of an online slot as it is relatively simple, with bright clear graphics and a traditional layout, which is easy for all phones to display on a smaller screen. Sometimes you can play Mega Moolah in your browser using Flash-based software, but sometimes you can also use an online casino app to play the game. This makes playing it even easier, as you can open the casino at the click of a button and start playing right away, without the need to login and wait for the software to load up. When you play any slot from your mobile and tablet, it is vital that your internet connection is strong enough to handle the game. The ideal option is to connect to the internet using Wi-Fi or at least make sure you have a good enough connection not to disconnect. You don’t want to have to disconnect from playing the game when you are winning! However, if this does happen, the best online casinos will usually be able to remember where you left off and you shouldn’t lose any money. Many people prefer the practicality of playing slots form their desktops. Not only is there less chance of the game cutting out or losing the connection, but many gamers prefer playing on a bigger screen. The desktop computer can also often have better graphics and sound effects than the screen and speakers of a mobile phone. Although many players love playing Mega Moolah for real money, it is also possible to play this game for free at many sites. You can often find the demo version of slots ready to play online, which gives you the chance to try the game out for free without having to spend any of your own money. Once you have practised on the free play version, you might like to move onto real cash, but many gamers like to stay with the free version for the fun and casual enjoyment of the game. It’s a good idea to play around 200 spins for free on any slot before you commit to using real money, just so you can get a good feel for the game and make sure you know how it works. Each slot is different and it is best to read through the rules of the game and look at the paytable and the bonus options, so you know exactly what to expect. Try to make bets at the same level as if you were using real money, so you can see how the game plays out and what you might win and lose. If you find a slot with great features you love when playing for free in the demo versions, you can make a note of these and look out for them in future when deciding what game to play. For example, you might love the progressive jackpots available in Mega Moolah, in which case you should look for other progressive jackpot slots, such as Fruit Fiesta and Tunzamunni. If you are keen to try playing Mega Moolah but want more information first, we can help you decide if this game is for you. When we first tried Mega Moolah, we saw that it was very fast to load, which is great when you are looking to begin your gaming session straight away, without having to wait for software to download. It is a good idea to set an initial wager at a reasonable amount to ensure excitement, but not too high that it becomes stressful. It is helpful to use the autoplay feature if you don’t want to have to press spin each time, but if you see this as part of the fun, then stay away from the autospin option, as this can dampen the excitement a little. The first thing to notice about Mega Moolah is the fun graphics and the animal theme. This really transports you to the African savannah, with the gorgeous animals all in cartoon style for a light-hearted and gentle approach. We think you will be impressed by the regular wins when playing this slot. They occur often as this is a low volatility slot, so this feels good psychologically, knowing that you are racking up lots of wins even if they are quite small. The reason for this is that it is a low volatility game, so you should expect to get payouts very regularly. These payouts will normally be small, but this still keeps your bankroll ticking over, and you are likely to hit a couple of big payouts alongside the small ones. The free spins feature was triggered quite often when we played, which was good to see. This helps us to enjoy lots of free spins. The 100x your bet scatter was also lucrative when we hit 5 on the screen on one occasion. Another feature that we loved was the wild symbols which often appeared to stand in and create more combinations. The fact that this also adds a multiplier to the payout is another bonus we appreciate. Even though Mega Moolah is a low-volatility slot, it can provide some amazing payouts if you hit a lucky spin. It is easy to see why so many gamers love playing Mega Moolah - it isn’t just for the stunning graphics and fun animal characters! Of course, one of the most exciting parts of the slot is the progressive feature and we managed to enjoy one spin of the fortune wheel, which triggered at random while we were playing the max bet. We hit the mini progressive, which is the smallest jackpot, but this was still a tasty sum and we think this was very lucky, as it is by no means a guarantee that the progressive bonus will trigger. It seems likely you need to bet at the maximum to have a chance of triggering this round. Mega Moolah provides a lot of excitement and there is always something happening during the game to keep you entertained, from the cute animals to the free spins and wild symbols, not to mention the constant anticipation of the potential progressive jackpot. Mega Moolah is one of the most popular progressive slots in the world and it has held on well to its crown as this software developer's number one progressive title. Although this is great fun, it is only natural you would want to try something new. If you love this game, you are sure to love other similar titles and there are lots to choose from. Fruit Fiesta is another progressive slot from Microgaming, with 5 reels and 15 paylines. This game features lots of juicy fruit symbols, such as plums, lemon and pineapples, along with an attractive game symbol with a bunch of fruit. The scatter symbol is the melon and the wild is the game logo, which can stand in to make more combinations. To trigger the progressive jackpot, you have to hit 5 Fruit Fiesta symbols in a row on payline 15, while playing the max of 15 coins per spin. The value of the progressive jackpot can be seen on the screen - and this can be a life-changing sum! Major Million is another top progressive title, with the potential to pay out millions to its luckiest players. There are a few variations of this game, such as the 5 reel Mega Spin version and the 3 reel classic version. The jackpots are all linked, so whichever style you choose to play, you can always win the same jackpot. You get 15 paylines in this slot which are alterable, while the symbols are all inspired by the military, with tanks, binoculars and, of course, the Major himself! You need to land 5 logos on payline 15 to trigger the progressive jackpot. King Cashalot is a great progressive jackpot game from the same developer. This game features 9 paylines and 5 reels, along with some royal symbols. You will find the King, Knight, Princess and lots of delicious banquet food such as roast chicken, a large ham, a fruit platter and lobster. There is also a dragon symbol, which can trigger the bonus round and a jester symbol, which can multiply your payouts. To trigger the jackpot, you need to land 5 King symbols on the 9th payline. Treasure Nile has a strong Egyptian theme and all the symbols are stones with famous Egyptian images and hieroglyphs. This colourful game has just 9 paylines and the coin value is set at 0.50. This means that players will spend 4.50 on each spin. The symbols include the Eye of Horus and the famous Anubis and all payouts can be won both ways, left to right and right to left along the paylines, which gives more chances to take away a payout. If you manage to hit 5 King Tut symbols on the 9th payline, you will trigger the progressive jackpot. At Slots Temple, we are serious about giving you the best information about online slots to ensure you know the games well and can decide which ones to play. Our experts have gone through this game to make sure all the details are covered, from the betting options to the graphics and game features. When reviewing Mega Moolah, it was hard to find a negative aspect to the game, even though it is a relatively old title and there are many newer games that can rival it today. The attractive graphics and the simple gameplay make this a classic slots game, while the progressive jackpot means this game will always be popular with players looking for big wins. Mega Moolah is a low-volatility slot and the RTP is average, but the game can award some great wins to lucky players. You will be able to pick up regular wins every minute, so your bankroll should always be topped up and you get the chance to make steady progress, even if you don’t hit the big progressive jackpot. In addition to the progressive opportunity, the normal play wins are impressive and the free spins feature allows for lots of freebies, which can only enhance your payout-to-spins ratio further. If we wanted to find a criticism of this game, it would be the simplicity of the bonus features. Although the basic graphics might look unsophisticated to modern eyes, the game is still enjoyable to play and the cute animals are attractive in their cartoonish appearance. So the lack of more bonus features is the only area we could criticise. This means we would prefer another bonus round, perhaps a bonus game which takes more advantage of the animal theme would be a good addition to the slot, giving more ways to win and adding to the fun of the theme. Microgaming is one of the world’s top online casino games developers and their slots collection is huge and impressive. This company has been at the top of its game for many years and players can find its games all over the web, with many online casinos stocking Microgaming games in the slots section, along with the table games section and live dealer games pages. The company first started developing casino games in 1994 and launched its mobile software in 2004. In addition to the slots and casino games, the company also produces software for poker and sportsbook clients. The progressive jackpot network at Microgaming is the company’s biggest claim to fame, with the world’s largest network and €848 million paid out to players in total! Microgaming also works with a couple of studios, so it can broaden its services and develop even more great casino and slots games. These current studios are Triple Edge Studios and Stormcraft Studios. More independent studios are set to launch soon. The company has also won many awards, including top prizes at the EGR B2B Awards, Global Gaming Awards and the REB Awards. Microgaming has continued to expand around the world and provides games to casinos in many countries, so players from all areas of the world can find somewhere to play that has this leading provider's titles. The company releases new exciting games every month, so keep your eyes peeled for fun new slots and jackpot opportunities. The aim of the company is to develop games to suit all players, so there are certainly going to be games released that you will love. Can I play Mega Moolah for free? Yes, it is possible to play Mega Moolah for free here at Slots Temple. You don’t need to register a new account anywhere or make a deposit to try out playing the game right now. Does Mega Moolah have free spins? Yes, there are 15 free spins in Mega Moolah, when you hit 3 or more of the scatter symbols. This round can also be re-triggered for lots of potential freebies. Can I win real money while playing Mega Moolah? You can win real money when playing Mega Moolah if you place bets with real money. To do this, you will need to join, register an account and deposit money. You might also be able to find free spins on offer as a no deposit bonus, which could let you play for free and win real cash - but the money will be subject to wagering requirements. Do you have any Mega Moolah tips or cheats? It is not possible to guarantee a win when playing Mega Moolah online. Slots games use RNGs (Random Number Generators) to ensure random results on every spin. This means you can’t predict the next win or affect the number of times you win during your gaming session. The only tips that can help you include setting a budget for your gameplay, so that you will always feel comfortable and enjoy playing the game. So even if you are not lucky, you will never lose more than you can afford. If you never exceed the budget you set yourself, you will always end your session on a positive note and if you make a profit, always withdraw some of it back to your bank account. If you do use up your budget, it’s best to end your session for that day and try again tomorrow. It’s never a good idea to chase your losses, as you could end up further behind. Always remember that playing slots games is supposed to be about having fun. Can I play Mega Moolah with no deposit? You can play Mega Moolah without depositing anything here at Slots Temple. You could also search for a no deposit bonus at an online casino that features Mega Moolah as a free spins slot. Can I download Mega Moolah? Microgaming slots are available as HTML5 games. This means you can play them in your web browser, without having to download any software. This makes them really easy to play quickly from any device, wherever you are. Can I play Mega Moolah on an app? You can often find apps to download from online casinos which let you enter the casino quickly and easily, without having to load the site in your browser and log in. Although it is perfectly possible to play the game in your web browser on desktop and mobile devices, many players prefer to use an app for the convenience it offers. Check at your favourite online casino to see if it has an app you can use. Is Mega Moolah safe to play? Mega Moolah is a 100% safe online slot to play. This game has been developed by Microgaming, which is a highly trusted games developer. It is also available at trusted casino sites with legitimate licenses, which are legal to operate and offer casino games. Check the credentials of the individual casinos to check whether or not they are safe and legitimate - they should have a license that is valid in your jurisdiction. You should only play at recognised and trusted casino sites. Is the Mega Moolah progressive jackpot for real? The progressive jackpot prizes can seem unreal because they are so large, especially the biggest jackpot of all, the Mega Jackpot. But they are totally real and you can actually win the money - many players have won already! How does the progressive jackpot work? Progressive jackpots work in a simple way. The jackpot grows larger and larger as more people place bets on the game. A small amount from each bet goes into the progressive pot, so it is easy to see why it gets so large. The same thing can be seen on other progressive jackpot games, whether they are slots or table games - the jackpot is created by small amounts taken from bets and it keeps on growing until one lucky player wins it! * Mega Moolah trademark / license is owned by Microgaming. This site is not endorsed by Microgaming.